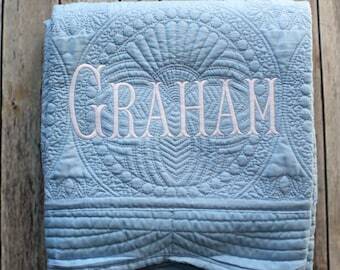 Announcement Funky Monkey Children offers custom monogrammed baby shower gifts, baby blankets, and more. Our items are perfect for baby showers and new baby gifts! 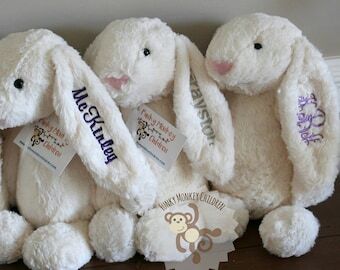 We would love to work with you on creating a custom gift for the special little one in your family. 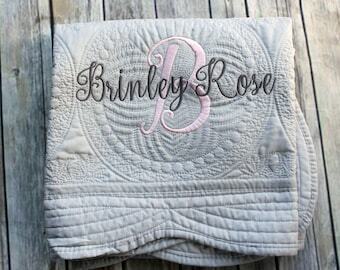 Funky Monkey Children offers custom monogrammed baby shower gifts, baby blankets, and more. 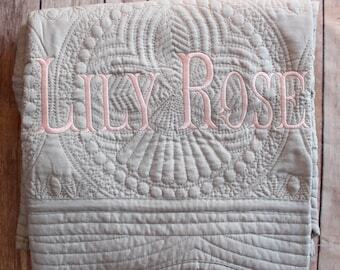 Our items are perfect for baby showers and new baby gifts! 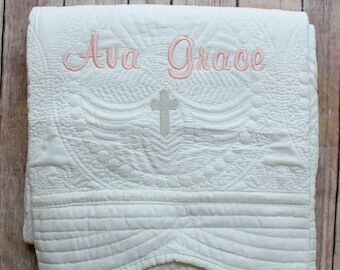 We would love to work with you on creating a custom gift for the special little one in your family. This was the perfect gift. So soft and looked great!! 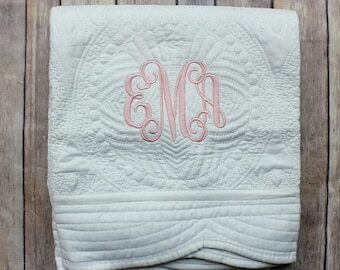 This adorable monogrammed and embroidered quilt is the perfect christening gift for a sweet little one! 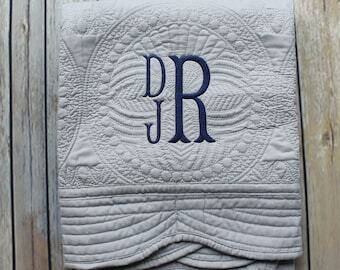 Gray quilt with plum writing. I just love this color combination! 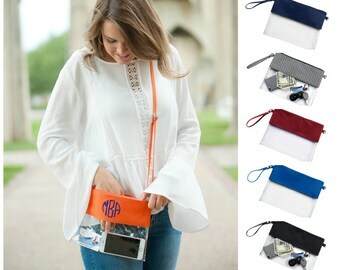 Personalized twin gifts are so cute and special! Nautical sets never go out of style! We love bright and bold colors! I've always loved creating new and exciting things for my children. From the time I was pregnant with my first child, I spent hours planning out the decorations of his bedroom (down to the clothes dividers for his closet!) When I was pregnant with my second baby, I decided to take my ideas one step farther and embark on this new journey of Funky Monkey Embroidery! I have loved every minute of working with parents-to-be, gift givers, and thoughtful friends to design the perfect gift for the new little one in their lives! I opened my second shop, Funky Monkey Holiday (http://www.etsy.com/shop/funkymonkeyholiday) in January 2018 in response to an increasing demand for holiday and birthday outfits! Hello friends! My name is Lauren and I'm the designer/creator/ loving hand behind Funky Monkey Embroidery! I'm a mom to 3 little ones (ages 5, 4, and 1) and the wife of an amazing man!